Abstract Generalist predators can play an important role in agroecosystems by controlling herbivores via top-down effects. As cover crops are increasingly used in agroecosystems, the effects of this resource on generalist predator diet need to be evaluated. We studied the effect of adding a cover crop, Brachiaria decumbens, on trophic niches of generalist predators in a banana agroecosystem by analysing stable isotope variation in C and N for Cosmopolites sordidus, a major banana pest, and its potential predators (spiders, ants, centipedes, and earwigs). While addition of the new resource did not change the trophic niche of the banana pest C. sordidus, the trophic position of the generalist predators was changed as indicated by ␦13 C signature. Cover crop provided resources that are likely to support a community of insect herbivores, which are alternative preys for generalist predators. The failure of the cover crop to increase ␦15 N signature is inconsistent with the hypothesis that the cover crop would increase intraguild predation. By providing alternative preys, the addition of a new resource in agroecosystems has the potential to increase populations of generalist predators and therefore pest control. author. Tel. : +596 596 423 047; fax: +596 596 423 001. E-mail address: [email protected] (P.-F. Duyck). −17.0‰ to −9.0‰ (Staddon 2004). The ␦13 C values of the herbivores and predators will therefore indicate whether the primary producer at the base of the trophic web was banana or B. decumbens. While ␦13 C is useful for determining the identity of the primary producer at the base of the food web, ␦15 N is useful for indicating the trophic level of organisms in a food web. Isotopic trophic enrichment N is the difference between ␦15 N of an organism and ␦15 N of its food source: mean N = 3.3 ± 1.5‰ (Minagawa & Wada 1984). Because ␦15 N is substantially enriched with each transfer, organisms that feed near the base of the food web will be less enriched than those that feed near the top of the food web. Thus, an organism’s isotopic signature in nitrogen indicates its trophic level (Vander Zanden & Rasmussen 1999; Ponsard & Arditi 2000). The objective of the current paper is to determine whether the addition of a cover crop in a banana agroecosystem changes the trophic niche of generalist predators. By analyzing stable isotopes of C and N, we attempted to answer the following specific questions: (i) Does the trophic position (as indicated by 13 C and 15 N values) of generalist predators change with addition of a cover crop? (ii) Does the addition of the cover crop increase the 15 N signature of generalist predators, suggesting an increase in intraguild predation? been treated with insecticide or nematicide for at least 4 years. In June 2008, litter was collected from two 625-cm2 areas in each plot. This litter was then spread on a plastic sheet, and ants, earwigs, centipedes, ground beetles, and spiders were collected using forceps or aspirators. Furthermore, banana weevils and predators were collected from two pitfall traps per plot that were left in each plot for 2 days in June 2008. The last mowing was done 2 months before sampling. We choose this particular period for sampling, because the cover crop reached a maximal biomass and before the next mowing as this probably causes a diminution of arthropod populations. Because the study takes place in a wet tropical environment, there were not contrasting seasons, with relatively constant rainfall and temperature over the years. We also collected Musa sp. and B. decumbens leaves to assess the isotopic baseline of the food web. Generalist predators were identified with entomological keys or were sent to specialists for identification. ture, lycosid predation on adults of other Coleoptera species has been documented. For example, Snyder and Wise (1999) demonstrated that wolf spiders can significantly reduce numbers of the cucumber beetle, Diabrotica undecimpunctata. Carabid beetles are an important group of generalist predator commonly found in agroecosystems. These ground beetles have been reported to consume a wide range of agricultural pest species including invertebrates and weed seeds (Lövei & Sunderland 1996; O’Rourke, Liebman, & Rice 2008). Centipedes have been reported to be predators of large arthropods including beetles (Kupfer, Langel, Scheu, Himstedt, & Maraun 2006). To our knowledge, however, no studies have described centipede predation of the banana weevil. Sample preparation and stable isotope measurements After taxonomic description, all individuals were lyophilized for 48 h. Banana, B. decumbens, and animal bodies were ground into a fine powder. One milligram of each individual of the collected taxa was placed in a tin capsule for analysis. When the biomass of one animal was sufficient to constitute one sample (≥1 mg), animals were analysed individually. If the biomass of individual animals was too small (<1 mg), the powder from multiple individuals of the same species was pooled to obtain the minimal sample size of 1 mg. Isotope ratios were determined by an isotope ratio mass spectrometer SerCon 20/20 coupled to an ANCA-GSL elemental analyser at the Scottish Crop Research Institute laboratory for stable isotope analysis (Dundee, Scotland). All stable-isotope values are reported in the ␦ notation: ␦13 C or ␦15 N = [(Rsample /Rstandard ) − 1] × 1000, where R is 13 C/12 C or 15 N/14 N. Standards were PeeDee Belemnite (Peterson & Fry 1987) and atmospheric air (Mariotti 1984) for C and N, respectively. To evaluate the reliability of isotopic measurements, five replicates of the same sample were analysed. This was done for one sample of C. sordidus, one sample of banana, and one sample of B. decumbens. mality using the Boxcox transformation when necessary (Box & Cox 1964). To test the hypothesis of a directional change in taxa isotopic abundance of ␦13 C and ␦15 N, which would indicate a change in trophic position, we also used circular statistics (Schmidt, Olden, Solomon, & Vander Zanden 2007). Length and direction of vectors of change (from bare soil to cover crop) in the ␦13 C–␦15 N trophic space were calculated for each taxon using mean values of ␦13 C and ␦15 N as coordinates. Mean and standard deviation of absolute and relative angles were calculated assuming von Mises distributions. Watson test was used to confirm that these distributions were appropriate while Rayleigh’s test for circular uniformity was used to test the significance of mean vector direction of the community (Schmidt et al. 2007). Circular statistics were performed were performed in R version 2.4.1 (R Development Core Team 2004) using CircStats, geometry, and chplot packages. Results We analysed 12 samples of banana weevils and 130 samples of generalist predators classified into five general taxa: ants, earwigs, centipedes, ground beetles, and spiders (Table 1). Specimens of ants, earwigs, and ground beetles were identified to species but spiders and centipedes were identified only to family because the species collected for these two taxa did not correspond to species already described. The ␦13 C value was −12.4 ± 0.1‰ for B. decumbens and −25.1 ± 0.7‰ for banana (Fig. 1B), and the values for all the other taxa were between these two ␦13 C values, except for ground beetles in the cover crop treatment. Taxon and treatment greatly affected the ␦13 C values of the entire community (Table 2). Interactions between taxa and treatment were also significant, indicating different effects of treatment among the taxa. In plots with bare soil, values of ␦13 C ranged from −12.6‰ to −24.7‰ and were in the following order: ground beetles  ants > spiders > centipedes > earwigs > C. sordidus. In plots with the cover crop, values of ␦13 C ranged from −11.7‰ to −24.5‰ and were in the following order: ground beetles  spiders > ants > centipedes > earwigs > C. sordidus. Values of ␦13 C for C. sordidus were −24.7 ± 0.2‰ with bare soil and −24.5 ± 0.4‰ with B. decumbens (Fig. 1), and the difference was not statistically significant (P > 0.05). The ␦13 C values were significantly higher (i.e., less negative) with the cover crop than with bare soil for all taxa of generalist predator except for ground beetles (P < 0.05, Fig. 1). The ␦13 C value of ground beetles was similar to that of B. decumbens. The ␦15 N values of B. decumbens and banana were not significantly different (0.7 ± 0.1‰ and 1.7 ± 0.8‰, respectively, P > 0.05, Fig. 1), and we could therefore use a ␦15 N value of 1.2 as an approximate baseline. tles  earwigs < centipedes < ants < spiders. In plots with the cover crop, ␦15 N values ranged from 4.6‰ to 9.7‰ and were in the following order: ground beetles < C. sordidus < earwigs < centipedes < ants < spiders. ␦15 N values were significantly affected by taxa but were not affected by treatment or the interaction between taxa and treatment (Table 2). A marginally significant difference (P = 0.052) in ␦15 N values was observed for earwigs in plots with bare soil (8.4 ± 0.5‰) vs. in plots with the cover crop (6.6 ± 0.6‰). The mean ␦15 N value was 2.8‰ greater for C. sordidus than for banana. In plots with bare soil, the mean ␦15 N values for earwigs, centipedes, ants, and spiders were, respectively, 4.0, 4.2, 5.0, and 5.5‰ higher than for C. sordidus. In plots with the cover crop, the mean ␦15 N values of earwigs, centipedes, ants, and spiders were, respectively, 2.2, 3.8, 4.8, and 5.3‰ higher than for C. sordidus. The ␦15 N values of ground beetles were very similar to those of C. sordidus (on average, the values from the beetles were only 0.3‰ above those from C. sordidus) in both kinds of plots. Circular statistics showed that mean directions of vectors (from bare soil to cover crop) in the ␦13 C–␦15 N trophic space for ants, spiders, centipedes, and earwigs ranged from 95 to 110 degrees, indicating shift from banana to cover crop signature (Fig. 2). For the entire community, the mean direction was 99.9 degrees and the mean length was 3.76‰ (Rayleigh test: P = 0.007). Fig. 1. The ␦13 C and ␦15 N signatures of banana, Brachiaria decumbens (the cover crop), Cosmopolites sordidus (the banana weevil), and generalist predators in the litter of a banana agroecosystem collected in plots (A) without a cover crop or (B) with a cover crop. Values are means ± SE. Fig. 2. Arrow diagrams for angle of change in trophic position caused by the addition of a cover crop in a banana agroecosystem. Each arrow represents the direction of change in trophic niche space for each taxon (ants, spiders, centipedes, and earwigs). The length of the arrow represents the magnitude of change. the trophic position of the banana pest C. sordidus. Because C3 plants (like banana) and C4 plants have very different ␦13 C values, and because ␦13 C values are not greatly changed with trophic transfer, the ␦13 C of a herbivore (and of consumers of that herbivore) indicates which plant(s) it consumed. In the current study, the ␦13 C value was −25.1‰ for banana and −12.4‰ for the C4 cover crop. Similar values have been reported in previous studies. For example, Yakir and Israeli (1995) reported a ␦13 C value of −26.5‰ for banana, and Staddon (2004) reported ␦13 C values ranging from −17‰ to −9‰ for other C4 plants. In the current study, the ␦13 C value for C. sordidus was about −24.6‰ whether plots had bare soil or the C4 cover crop. This indicates that C. sordidus fed only on banana and that its diet was not influenced by the addition of the cover crop. The mean ␦15 N value was 2.8‰ higher in C. sordidus than in banana. This is in line with the expected enrichment of 15 N between an animal and its resource, which is usually considered to be about 3.3‰ (Minagawa & Wada 1984). Different species however, can have different ␦15 N values even if they eat the same food (Ponsard & Arditi 2001). values for ground beetles suggest that they were consuming resources close to and even including the primary producers, as discussed later. Addition of the cover crop caused a shift in the ␦13 C signature of generalist predators, and the increase in ␦13 C values indicates that a substantial part of the resource of these predators came from the B. decumbens pathway. In our study, the cover crop, B. decumbens, was probably a new resource that supported a more diverse community of insect herbivores, which constituted an alternative resource for the generalist predators. We identified three species of herbivores that were particularly abundant in the cover crop treatment: Grillus assimilis (Hexapoda, Orthoptera, Grillidae), Ligyrus ebenus (Hexapoda, Coleoptera, Scarabaeidae), and Coreidae sp. (Hexapoda, Hemiptera, Heteroptera). Shift in trophic position of generalist predators As noted earlier, addition of the cover crop B. decumbens changed the ␦13 C signature of the generalist predators, indicating that a substantial part of the resource of these predators came from the B. decumbens pathway. Three hypotheses could explain the shift in isotopic signature in 13 C for generalist predators with the addition of the cover crop: (i) a change in species composition within the generalist predator community, (ii) a change in the relative abundance of different species within the community, and (iii) a change in prey consumed by the generalist predators (without changes in species composition and relative abundances). Because the same species of generalist predators were present in both treatments, we can reject the first hypotheses. Although the second hypothesis cannot be rejected, we suspect that the first two hypotheses may be better supported in more complex systems that contain many more species than are present in banana plantations. Because generalist predators often change their food as different prey become available, the third hypothesis is probably correct. While arthropods have been collected at one particular period, we expect that the observed effect on generalist predator trophic niche would be observed at least at the same moment in the mowing cycle. not increase the ␦15 N signature, a finding that is inconsistent with an increase in intraguild predation. Further field and laboratory research will be needed to determine whether the addition of a cover crop does increase predator numbers and control of C. sordidus. Trophic links must also be verified, and abundances of the different species of predators and herbivores quantified. By crossing data of abundances and proportion of different resources consumed by species, it will be possible to estimate the part of the crop consumed directly by the pest and indirectly by the predators of the pest. Acknowledgments We thank Dr. Charlie Scrimgeour, Dr. Meier-Augenstein, and Mr. Lee Hunter (SCRI, Dundee, Scotland) for isotope analyses of samples; Eddy Dumbardon (FREDON), Patrick Marechal (MNHN, Paris), and Jacques Delabie (Santa Cruz Univerisity, Brazil) for their help in arthropod identification; Gracien Theodoze (CIRAD-PRAM, Martinique, France) for the maintaining of banana crop in the field; and Sergine Ponsard (Univ. Paul Sabatier, Toulouse, France) for comments on an earlier version of this manuscript. We also thank Bruce Jaffee for English revision and four anonymous referees for their useful comments on the manuscript. References Abera-Kalibata, A. M., Gold, C. S., & Van Driesche, R. (2008). Experimental evaluation of the impacts of two ant species on banana weevil in Uganda. Biological Control, 46, 147–157. Abera-Kalibata, A. M., Gold, C. S., Van Driesche, R. G., & Ragama, P. E. (2007). Composition, distribution, and relative abundance of ants in banana farming systems in Uganda. Biological Control, 40, 168–178. Abera-Kalibata, A. M., Hasyim, A., Gold, C. S., & Van Driesche, R. (2006). Field surveys in Indonesia for natural enemies of the banana weevil, Cosmopolites sordidus (Germar). Biological Control, 37, 16–24. Arim, M., & Marquet, P. A. (2004). Intraguild predation: A widespread interaction related to species biology. Ecology Letters, 7, 557–564. Bell, J. R., King, R. A., Bohan, D. A., & Symondson, W. O. C. (2010). Spatial co-occurrence networks predict the feeding histories of polyphagous arthropod predators at field scales. Ecography, 33, 64–72. Box, G. E. P., & Cox, D. R. (1964). An analysis of transformations. Journal of the Royal Statistical Society Series B (Methodogical), 26, 211–252. Cardinale, B. J., Harvey, C. T., Gross, K., & Ives, A. R. (2003). Biodiversity and biocontrol: Emergent impacts of a multi-enemy assemblage on pest suppression and crop yield in an agroecosystem. Ecology Letters, 6, 857–865. Chen, B. R., & Wise, D. H. (1999). Bottom-up limitation of predaceous arthropods in a detritus-based terrestrial food web. Ecology, 80, 761–772. Costello, M. J., & Daane, K. M. (2003). Spider and leafhopper (Erythroneura spp.) response to vineyard ground cover. Environmental Entomology, 32, 1085–1098. Dornelas, M., Moonen, A. C., Magurran, A. E., & Barberi, P. (2009). Species abundance distributions reveal environmental heterogeneity in modified landscapes. Journal of Applied Ecology, 46, 666–672. Ehmer, B., & Hölldobler, B. (1995). Foraging behavior of Odontomachus bauri on Barro Colorado Island, Panama. Psyche, 102, 215–224. Gearing, J. N., Gearing, P. J., Rudnick, D. T., Requejo, A. G., & Hutchins, M. J. (1984). Isotopic variability of organic-carbon in a phytoplankton-based, temperate estuary. Geochimica Et Cosmochimica Acta, 48, 1089–1098. Gold, C. S., Pena, J. E., & Karamura, E. B. (2001). Biology and integrated pest management for the banana weevil Cosmopolites sordidus (Germar) (Coleoptera: Curculionidae). Integrated Pest Management Reviews, 6, 79–155. Hooks, C. R. R., & Johnson, M. W. (2004). Using undersown clovers as living mulches: Effects on yields, lepidopterous pest infestations, and spider densities in a Hawaiian broccoli agroecosystem. 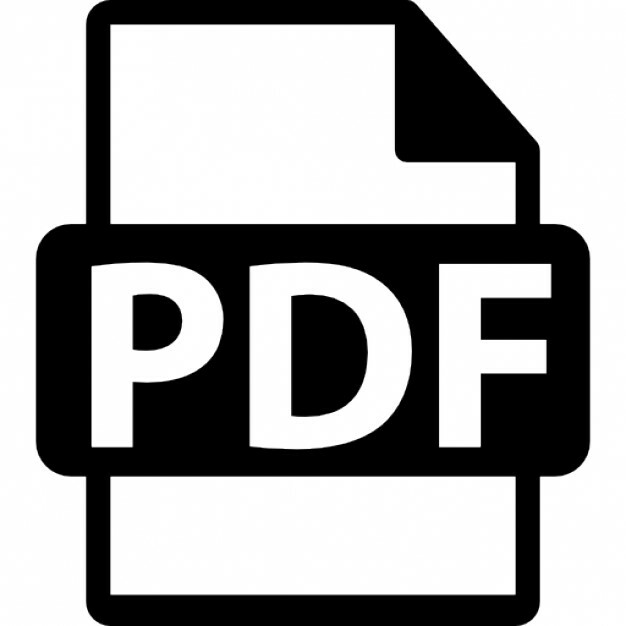 International Journal of Pest Management, 50, 115–120. Koppenhofer, A. M. (1993a). Egg predators of the banana weevil, Cosmopolites sordidus (Germar) (Col, Curculionidae) in western Kenya. Journal of Applied Entomology, 116, 352–357. Koppenhofer, A. M. (1993b). Observations on egg-laying behavior of the banana weevil, Cosmopolites sordidus (Germar). Entomologia Experimentalis Et Applicata, 68, 187–192. Koppenhofer, A. M., Reddy, K. V. S., Madel, G., & Lubega, M. C. (1992). Predators of the banana weevil, Cosmopolites sordidus (Germar) (Col, Curculionidae) in western Kenya. Journal of Applied Entomology, 114, 530–533. Kupfer, A., Langel, R., Scheu, S., Himstedt, W., & Maraun, M. (2006). Trophic ecology of a tropical aquatic and terrestrial food web: Insights from stable isotopes (15 N). Journal of Tropical Ecology, 22, 469–476. Landis, D. A., Gardiner, M. M., van der Werf, W., & Swinton, S. M. (2008). Increasing corn for biofuel production reduces biocontrol services in agricultural landscapes. Proceedings of the National Academy of Sciences of the United States of America, 105, 20552–20557. Lövei, G. L., & Sunderland, K. D. (1996). Ecology and behavior of ground beetles (Coleoptera: Carabidae). Annual Review of Entomology, 41, 231–256. Macfadyen, S., Gibson, R., Polaszek, A., Morris, R. J., Craze, P. G., Planque, R., et al. (2009). Do differences in food web structure between organic and conventional farms affect the ecosystem service of pest control? Ecology Letters, 12, 229–238. Mariotti. (1984). Atmospheric nitrogen is a reliable standard for natural 15 N abundance measurements. Nature, 311, 251–252. Minagawa, M., & Wada, E. (1984). Stepwise enrichment of ␦15 N along food-chains – further evidence and the relation between ␦15 N and animal age. Geochimica Et Cosmochimica Acta, 48, 1135–1140. Moonen, A.-C., & Bàrberi, P. (2008). Functional biodiversity: An agroecosystem approach. Agriculture, Ecosystems & Environment, 127, 7–21. O’Rourke, M. E., Liebman, M., & Rice, M. E. (2008). Ground beetle (Coleoptera: Carabidae) assemblages in conventional and diversified crop rotation systems. Environmental Entomology, 37, 121–130. Oelbermann, K., & Scheu, S. (2002). Stable isotope enrichment (delta N-15 and delta C-13) in a generalist predator (Pardosa lugubris, Araneae: Lycosidae): Effects of prey quality. Oecologia, 130, 337–344. Patek, S. N., Baio, J. E., Fisher, B. L., & Suarez, A. V. (2006). Multifunctionality and mechanical origins: Ballistic jaw propulsion in trap-jaw ants. Proceedings of the National Academy of Sciences of the United States of America, 103, 12787–12792. Perfecto, I., & Caste˜nieras, A. (1998). Deployment of the predaceous ants and their conservation in agroecosystems. In P. Barbosa (Ed. ), Conservation Biological Control (pp. 269–290). San Diego, CA: Academic Press. Peterson, B. J., & Fry, B. (1987). Stable isotopes in ecosystem studies. Annual Review of Ecology and Systematics, 18, 293–320. Pinheiro, J. C., & Bates, D. M. (2004). Mixed-effects models in S and S-PLUS. New York: Springer. Ponsard, S., & Arditi, R. (2000). What can stable isotopes (␦15 N and ␦13 C) tell about the food web of soil macro-invertebrates? Ecology, 81, 852–864. Ponsard, S., & Arditi, R. (2001). Detecting omnivory with delta N-15 – Comment from Ponsard & Arditi. Trends in Ecology & Evolution, 16, 20–21. Post, D. M., & Takimoto, G. (2007). Proximate structural mechanisms for variation in food-chain length. Oikos, 116, 775–782. Raimundo, R. L. G., Freitas, A. V. L., & Oliveira, P. S. (2009). Seasonal patterns in activity rhythm and foraging ecology in the neotropical forest-dwelling ant, Odontomachus chelifer (Formicidae: Ponerinae). Annals of the Entomological Society of America, 102, 1151–1157. R Development Core Team. (2004). R: A language and environment for statistical computing. Vienna, Austria: R Foundation for Statistical Computing. Rickers, S., Langel, R., & Scheu, S. (2006). Stable isotope analyses document intraguild predation in wolf spiders (Araneae: Lycosidae) and underline beneficial effects of alternative prey and microhabitat structure on intraguild prey survival. Oikos, 114, 471–478. Rosenheim, J. A. (2007). Intraguild predation: New theoretical and empirical perspectives. Ecology, 88, 2679–2680. Sanders, D., & Platner, C. (2007). Intraguild interactions between spiders and ants and top-down control in a grassland food web. Oecologia, 150, 611–624. Scheu, S., & Falca, M. (2000). The soil food web of two beech forests (Fagus sylvatica) of contrasting humus type: Stable isotope analysis of a macro- and a mesofauna-dominated community. Oecologia, 123, 285–296. Scheu, S., & Folger, M. (2004). Single and mixed diets in Collembola: Effects on reproduction and stable isotope fractionation. Functional Ecology, 18, 94–102. Schmidt, M. H., Roschewitz, I., Thies, C., & Tscharntke, T. (2005). Differential effects of landscape and management on diversity and density of ground-dwelling farmland spiders. Journal of Applied Ecology, 42, 281–287. Schmidt, S. N., Olden, J. D., Solomon, C. T., & Vander Zanden, M. J. (2007). Quantitative approaches to the analysis of stable isotope food web data. Ecology, 88, 2793–2802. Snyder, W. E., & Wise, D. H. (1999). Predator interference and the establishment of generalist predator populations for biocontrol. Biological Control, 15, 283–292. Staddon, P. L. (2004). Carbon isotopes in functional soil ecology. Trends in Ecology & Evolution, 19, 148–154. demiology of Cosmopolites sordidus in banana fields. Ecological Modelling, 220, 2244–2254. Wardle, D. A., Bardgett, R. D., Klironomos, J. N., Setala, H., van der Putten, W. H., & Wall, D. H. (2004). Ecological linkages between aboveground and belowground biota. Science, 304, 1629–1633. Wise, D. H., Moldenhauer, D. M., & Halaj, J. (2006). Using stable isotopes to reveal shifts in prey consumption by generalist predators. Ecological Applications, 16, 865–876. Yakir, D., & Israeli, Y. (1995). Reduced solar irradiance effects on net primary productivity (NPP) and the ␦13 C and ␦18 O values in plantations of Musa sp., Musaceae. Geochimica Et Cosmochimica Acta, 59, 2149–2151. Report "Addition of a new resource in agroecosystems: Do cover crops alter the trophic positions of generalist predators?"